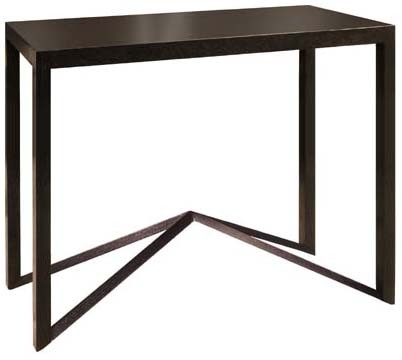 40"w x 16"d x 34"h.
All console tables designed by Jan Rosol are unique pieces custom made by master craftsmen. They are produced from selected materials and finished with hardened varnish to ensure the quality and durability for years to come. Standard finishes include matte, satin, and our state of the art hand polished high gloss finish. Each piece of Jan Rosol furniture is an original, one of a kind object.